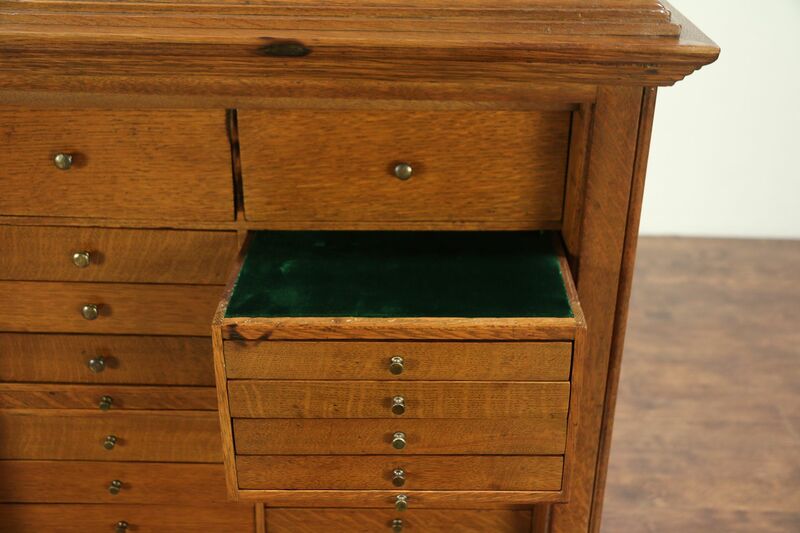 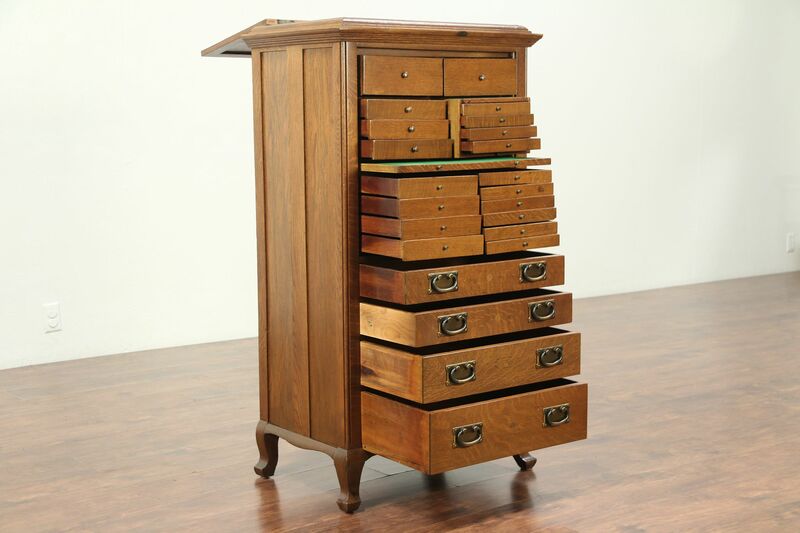 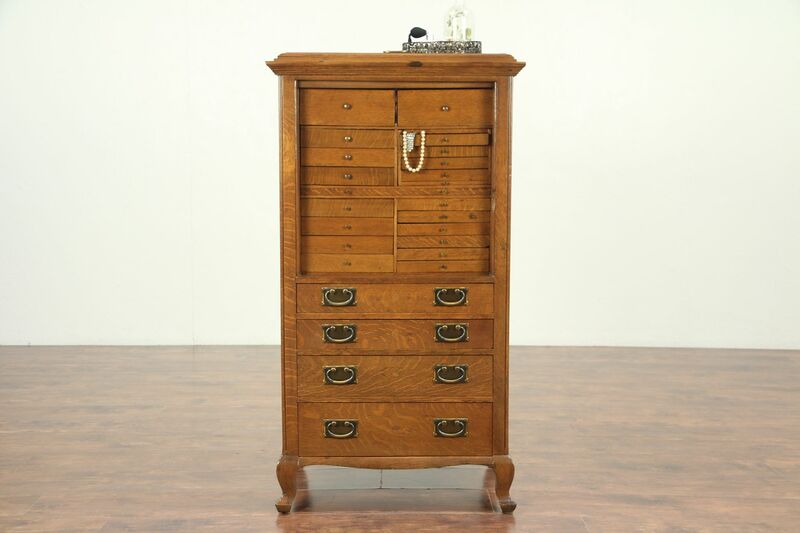 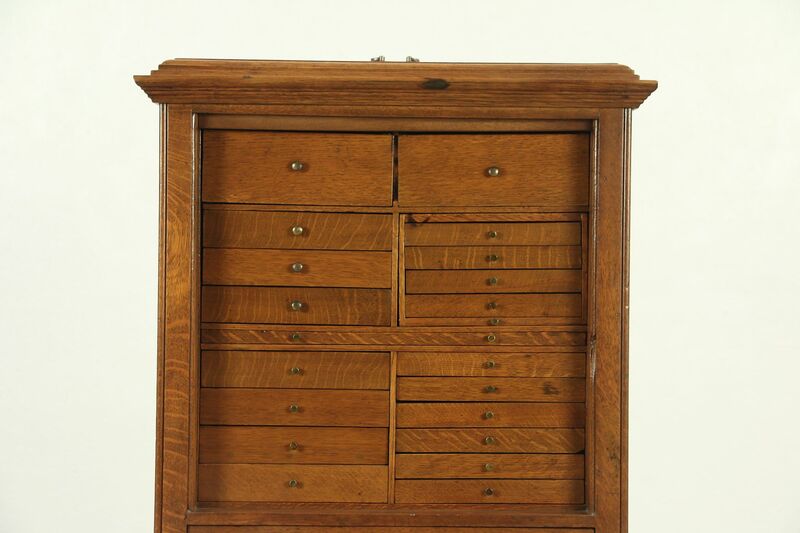 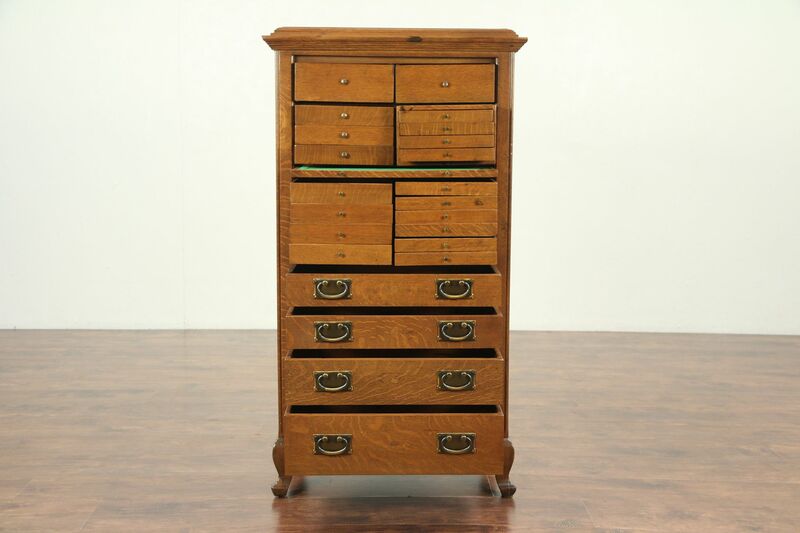 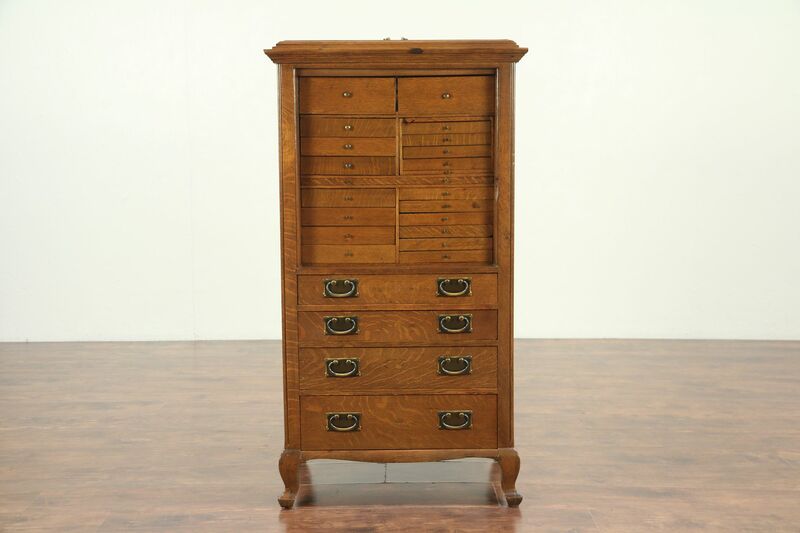 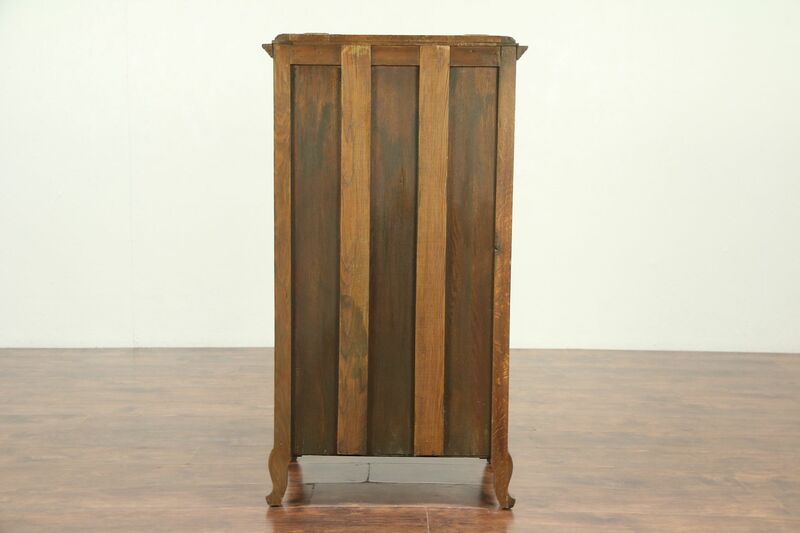 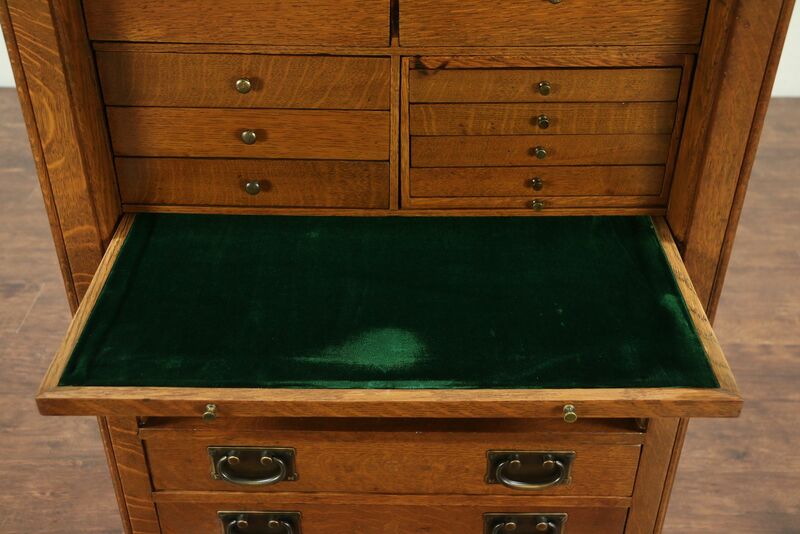 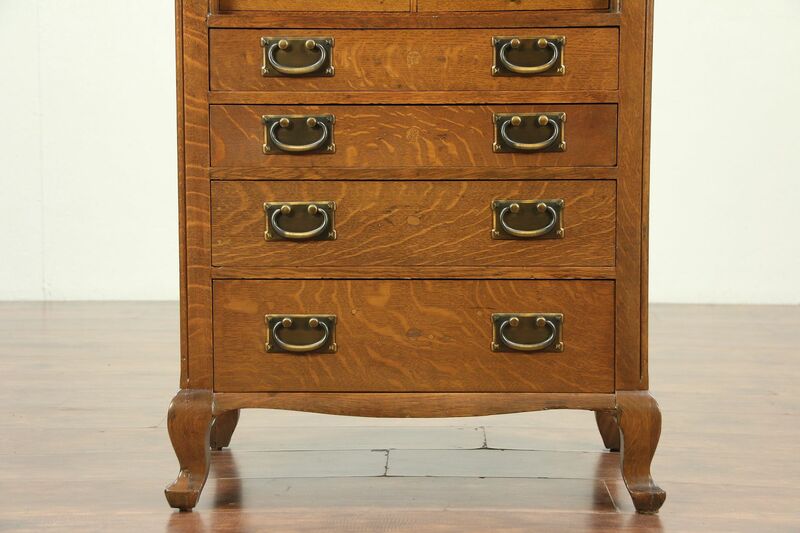 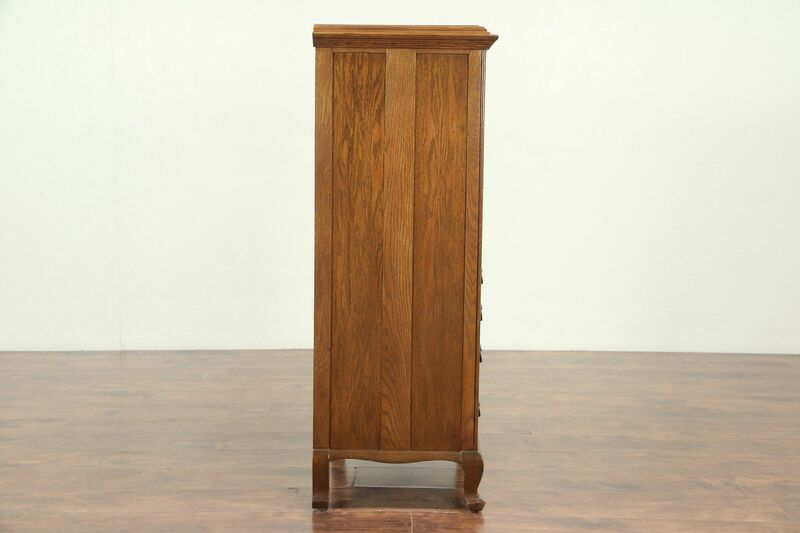 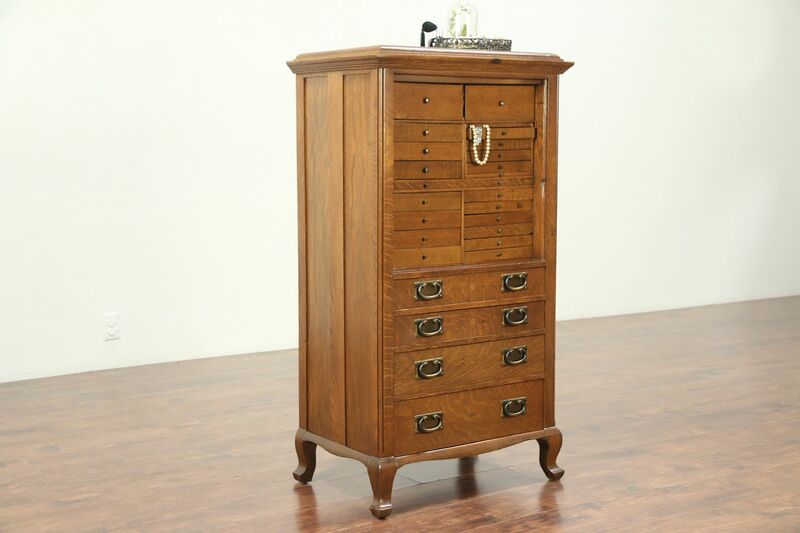 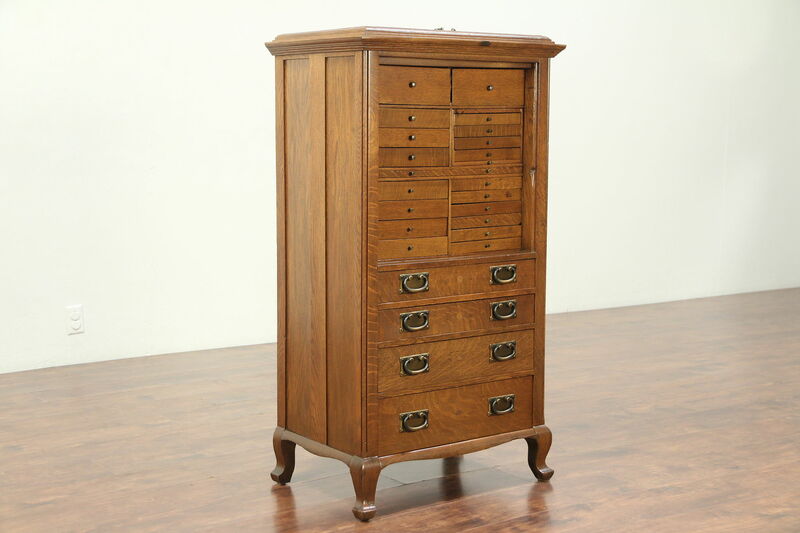 Made of solid oak for a dentist about 1895, this dental cabinet with 23 drawers of various sizes would also function for a collector or as a jewelry chest. 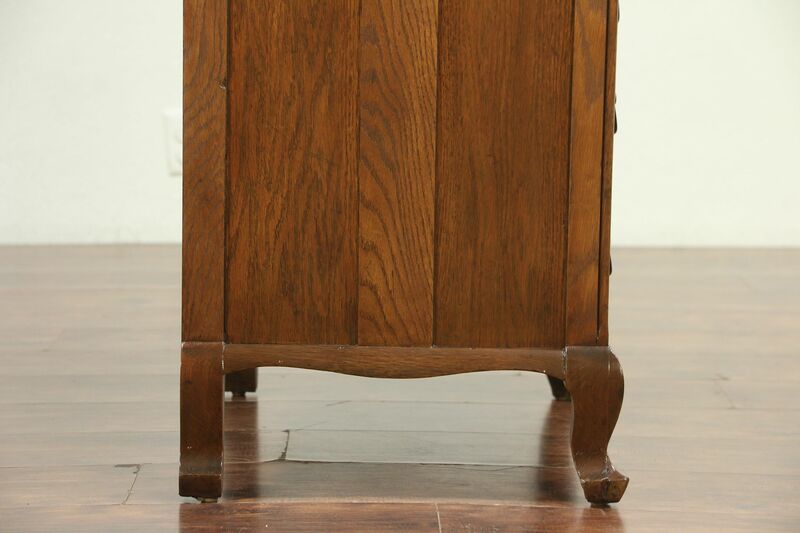 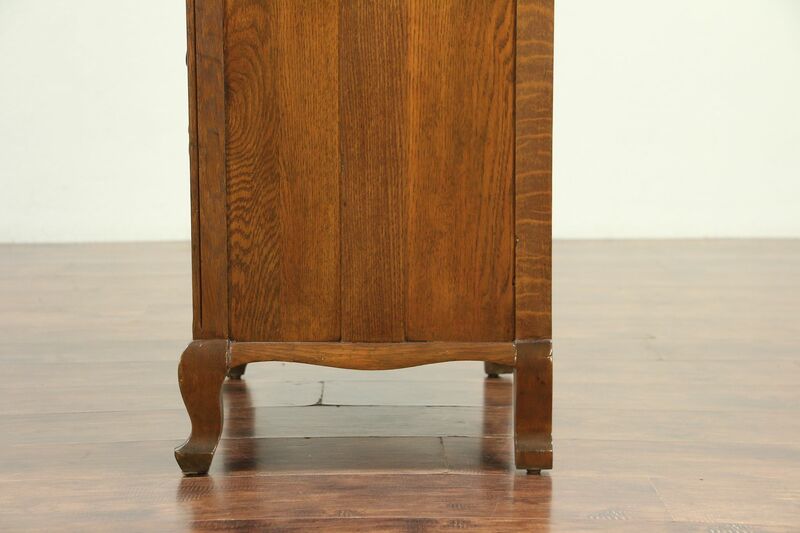 The restored finish is in excellent condition with lots of quarter sawn grain, preserving just enough mars and stains for a little antique character. 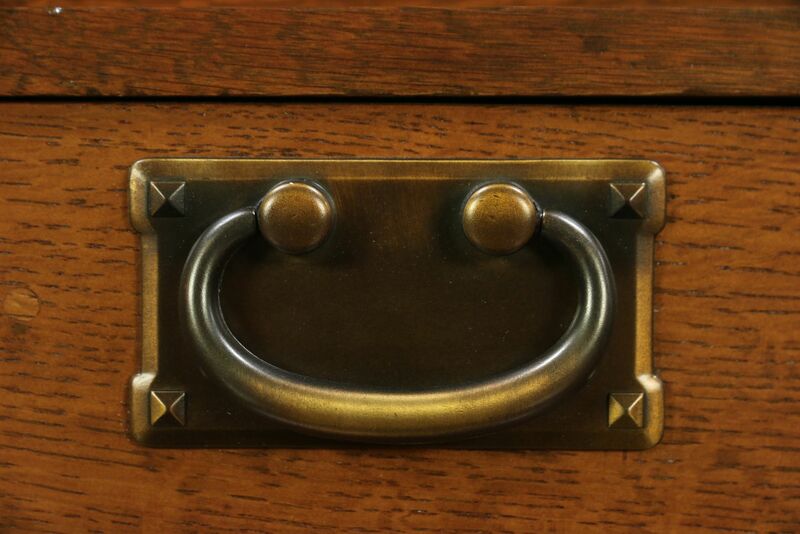 There is the faint "dentist office" scent that will probably never go away. 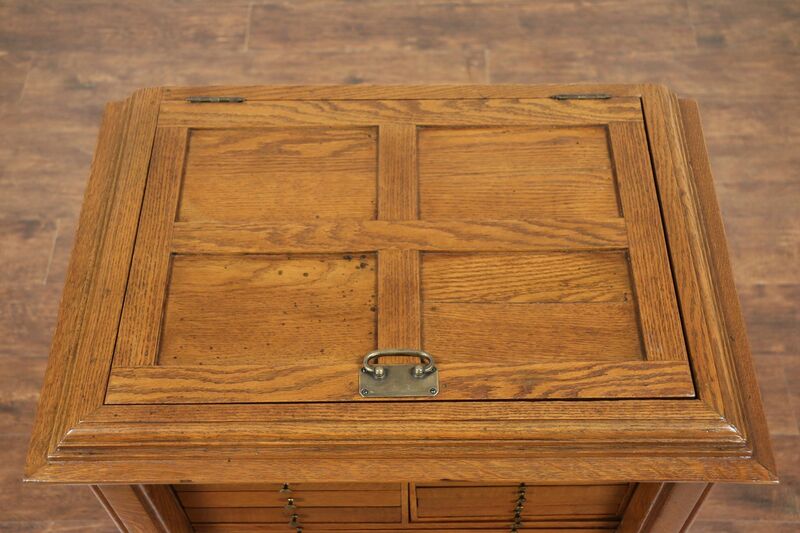 Under the lid is a shallow compartment. 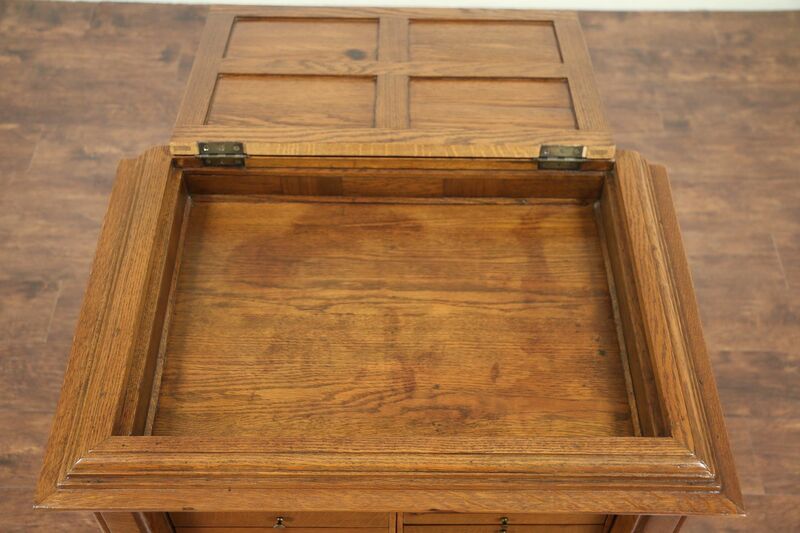 Below is a pull out tray plus a ganged bank of drawers. 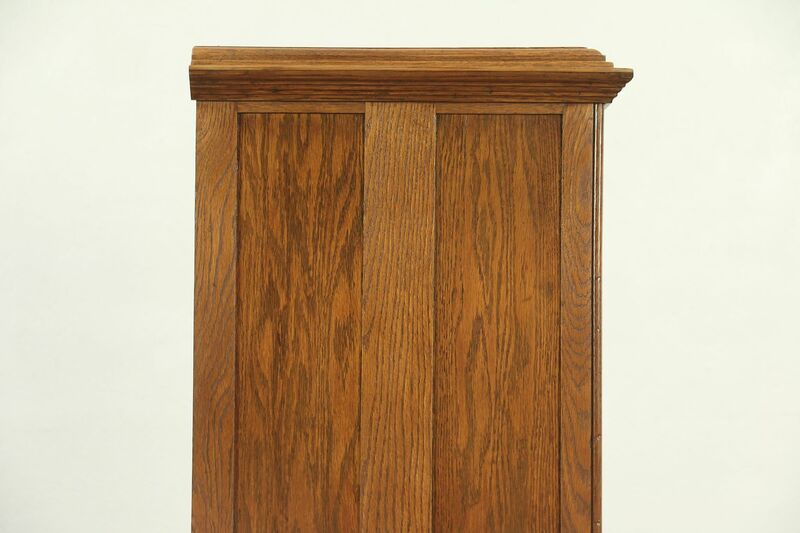 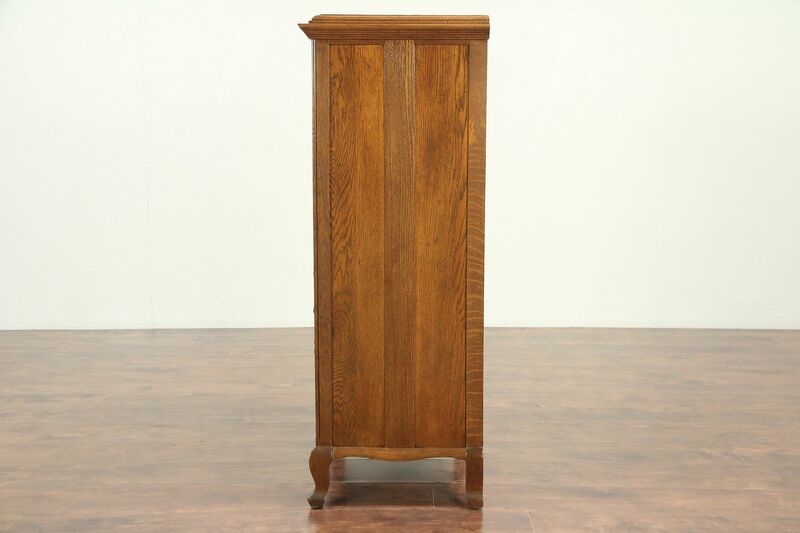 Sides and top are paneled on this American made furniture. 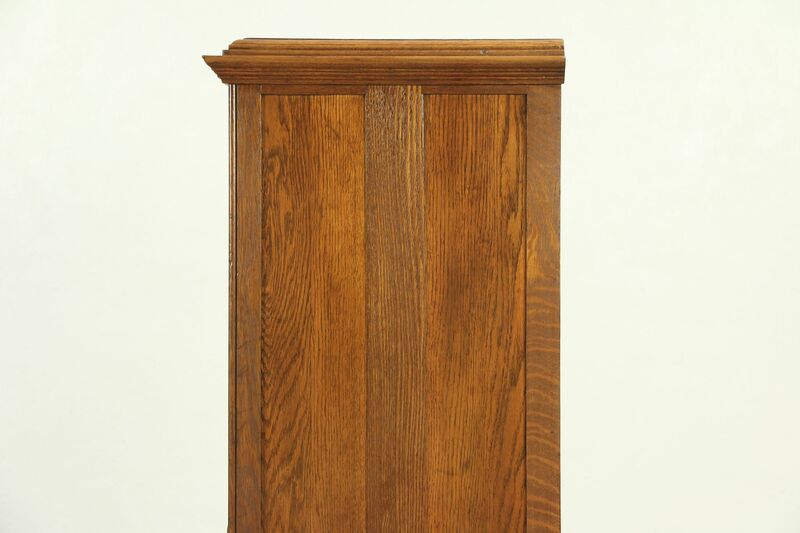 Dimensions are 27" wide, 18" deep and 49 1/2" tall.